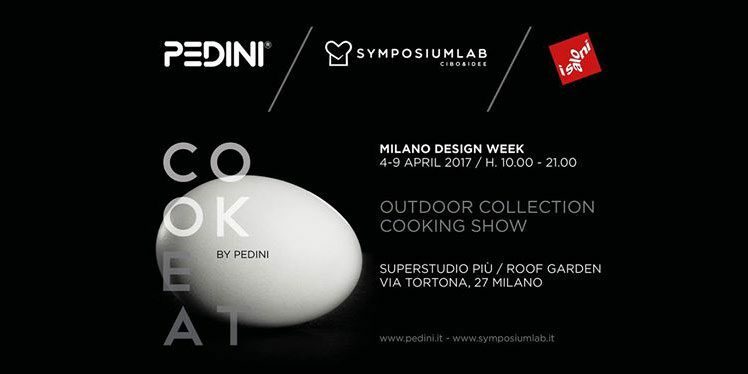 Pedini Cucine presents Cookeat at Fuorisalone 2017. The new concept that oversteps space limits rises from the collaboration between Pedini Cucine, the starred chef Lucio Pompili and Studio Tomassini. A design product and a modular structure able to adapt over time to the changing needs of kitchens, symbol of social reunion and conviviality, that will be the protagonist of Fuorisalone (Milano, 4-9 april) in the roof garden of Superstudio Più, via Tortona 27, with his outdoor collection and cooking show.